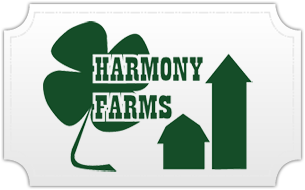 At Harmony Farms we have been in business since 1972 providing high quality meats and service. For more than thirty years we have been providing health conscious consumers like you the very best in all natural meats, poultry, and wild game. We are a family owned and operated company where everyone truly cares about you, our customers. Harmony Farms is a small nondescript storefront on the endless commercial stretch that is Foothill Boulevard in La Crescenta. Within its immediate vicinity are an escrow company, a florist, a Goodwill donations center, a carwash and a bar called, whimsically enough, Up Th’ Hill. From the street, at 40 mph, Harmony Farms could be a granolabinned health food store or an organic fruit stand. So it’s quite a shock to step across the threshold and smell meat. Real meat, bloody meat, the kind we used to buy in butcher shops from men in crimson-splashed aprons before the chains took over and put so much cellophane and Styrofoam all over everything it’s hard to tell what it is, exactly. And during the last week, as pickets kept strike-supporting customers out of the nearby Ralphs and Vons, it was a smell that many people were experiencing once again. Harmony Farms is a meat store, a specialty meat store. Here you can buy hormone-free beef, free-range turkey, lamb and chicken. But that’s not all Harmony Farms is. Also for sale are elk medallions, ostrich meat, wild boar sausage and hunks of Cajun alligator, whole rabbits and duck. Buffalo and venison come in many shapes and forms, ready to be simmered into a stew. Harmony Farms sells to health food stores, markets and restaurants as well as making home deliveries as far away as Orange County. The store has regular customers who have been coming in practically since it opened its doors almost 30 years ago. For home delivery, please call us at 818-248-3068 for more information. We can also order a fresh whole pig or lamb, and goats for your next party.